We are delighted to have Brian Taylor, AuD present on two important topics on Friday, April 21. Recently, two federal organizations, the Presidential Council of Advisors on Science and Technology (PCAST) and the National Academy of Sciences (NAS), after considerable deliberation, recommended a new category of amplification devices, sold directly to consumers, be created. Their recommendations present potential challenges and opportunities to audiologists providing amplification to patients. The session will be presented in two parts: Hour 1 will provide the reasoning behind the PCAST and NAS recommendations and how these potential changes in hearing aid regulations may affect the delivery of care. Hour 2 will be a review of the various Personal Sound Amplification Products (PSAPs), as well as other “hearable” technology available today, a comparison PSAP performance compared to traditional hearing aids and strategies for using them in a clinical practice. To prepare for his FDA/PCAST Update, review recent FDA and FTC announcements. 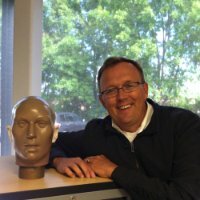 Brian Taylor, AuD is an independent consultant with Taylor Audiology, LLC. He is also the clinical audiology advisor for Fuel Medical Group. Brian is an adjunct professor for A.T. Still University, and editor of Audiology Practices, the quarterly journal of the Academy of Doctors of Audiology. Over the past decade, Dr. Taylor has held a variety of positions within in the industry, including stints with Unitron and Amplifon. Brian has nearly 25 years of clinical and practice management experience. He has written four books, numerous articles and lectured extensively on a variety of topics related to clinical audiology, hearing aids and business management.